April 4, 2019 by Vinay Leo R.
I find it very difficult to review non fiction, especially when it comes to autobiographies and diaries. These are written from experience, and while we may comment on the language or style in which it is put across, one cannot critique what they have been through and diminish the emotions involved. We may have reacted differently in similar situations, but that does not mean the person should have done so too. I read this book for the first time when I had just entered my teenage years. I’ve reread it after that a few times. But while I was reading from the comfort of my own bed, at that age Anne Frank was hiding in a secret annexe fearing for her capture, and for the safety of her family. Experience is what makes a person’s thoughts mature and profound. I think that Anne’s thoughts are profound in this book because of that. When I took it for rereading the first time, I remember going to Goodreads and checking out some of the reviews. I noticed a few reviews stating the lack of pace to the read, and that the story is predictable. For heaven’s sake, can one expect action when living in closed quarters? And this is just as much history is it is a diary. 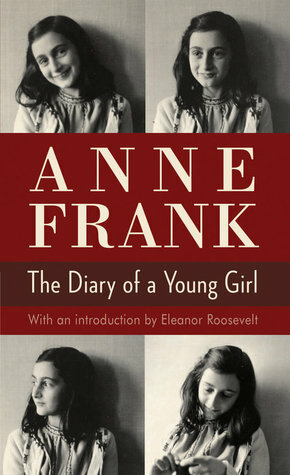 Anne Frank’s fate is known to readers much before they start reading this book. This book is to be read to learn of a young girl’s life during the time of war, when her “kind” were being treated atrociously. We see her growth through her words, which aren’t valued enough by others around her, so she writes to Kitty, her diary. Simple things like the loss of a pen mean so much more in that time of despair than to us reading of it decades later. The book is not sadness upon sadness, though it might seem that way. It has mystery, it has kindness (compassion in dire times is priceless don’t you think so?). The events leading up to the ending are as heartbreaking as the ending itself. This is one book I think everyone should read. But it’s not really a book, but a diary, recording the events of a true story. It has beauty, all you need to do is look. I picked up this book too when I was a teen and I have certainly gone back a couple of times. It gets me every single time. What she had to go through, the loneliness and she spent her troubled teens in such close quarters. We have all been teens once, all we wanted to do was to get away from home. So much more harder for her. It’s a beautiful but heartbreaking book, I feel. Thanks, The Dream Girl. I’ll drop by on the weekend. Bit busy during the week. Thanks for dropping by mine! Your insights into the contents of the diary are far more complex than one would expect from a book review. It is now back on my reread list. I think it’s worth rereading for sure, Gail. Glad you liked my post. I’ve read this book a couple of times and each time I’ve had tears in my eyes! I can understand that, Reems. It’s that kind of a book.